Advanced practice nurses (APRNs) play a unique and critical role in the current healthcare environment. Because each state defines the APRN role, their scope of practice varies from one state to the next. Discover the issues surrounding APRNs and how they’re helping solve care gaps for patients across the nation. The number of people over the age of 65 in America is projected to reach 98 million by 2060. This is more than double of this population today. An aging population taxes healthcare resources. It’s no secret that nurses are in demand, but you might be surprised to learn that physicians are another group of healthcare professionals experiencing a shortage. The Association of American Medical Colleges estimates that the shortage of physicians in the United States could reach 120,000 vacancies by 2030. The healthcare industry has turned to nurses in advanced practice roles to strengthen the workforce and deliver comprehensive, direct patient care. However, the care delivery system varies from one state to the next, leaving care gaps that impact the access to care for some patients. As nurses continue to step up to the plate to offer an innovative solution to cost-effective care, we must embrace the issues and rally together as nurses of various education levels to support this unique group of nursing professionals. APRNs are registered nurses who have gone back to school to receive additional training. They work as nurse practitioners (NPs), certified registered nurse anesthetists (CRNAs), nurse midwives, and clinical nurse specialists. Nurses in these roles hold a master’s or doctorate degrees and are trained to be independent practitioners. 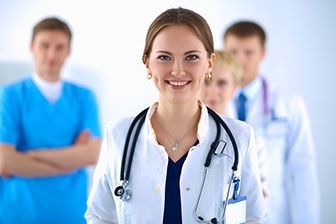 Many people consider these roles to be a modern advancement of the nursing profession. However, the role of the nurse anesthetist dates back to the 19th century during the Civil War when nurses were called upon to administer anesthetics. The first credential CRNA was established in 1956. Certified Nurse Specialists were the next APRNs to arrive on the scene in the 19th century when nursing specialists were needed. Midwives started with home deliveries in the 20th century and began assisting with hospital births during the baby boom. The first NP program began in 1965 at the University of Colorado, as Medicare and Medicaid expanded their coverage to patients of all ages who met income requirements or had specific disabilities. According to the American Association of Nurse Practitioners, there are over 248,000 NPs licensed to practice in the U.S. today. NPs work in primary care or specialty practices caring for patients across the age spectrum. They are permitted to diagnose and treat acute and chronic conditions. CRNAs deliver anesthesia before, during, and after diagnostic, surgical, and obstetrical procedures. Nurse midwives provide primary care services to women such as gynecological exams, prenatal care, labor and delivery, and family planning services. Clinical nurse specialists work in specialties such as critical care, women's health, or wound care services delivering advanced care and expert advice. Because APRNs fill a variety of roles, the issues around their scope of practice are just as varied. Some states provide a structure that gives APRNs autonomy, while others mandate direct relationships with physicians that range from supervision to collaboration. All APRNs collaborate or consult with physicians regardless of the state in which they practice. The difference is where they can practice without mandated oversight. According to the National Council of State Boards of Nursing 22 states and the District of Columbia allow NPs to diagnose and treat without physician involvement. However, 24 states require a formal, in-writing relationship between all NPs and a physician. Other issues around the scope of practice pertain to prescriptive authorities, with only 13 states allowing NPs to prescribe medications without the direct involvement of a doctor. This issue is similar for nurse midwives, with only 18 states allowing them to diagnose and treat without physician oversight. CRNAs are provided the ability to practice without direct supervision of a physician due to the autonomous role they must play in the operating room. Because the role of the clinical nurse specialist spans a wide range of activities, there isn’t a unified scope of practice. In 2008, the APRN Consensus Work Group developed The Consensus Model to standardize regulations. The model, which included education, certification, licensure, and accreditation was endorsed by 48 regulatory and professional groups. It allowed for increased access to care by increasing state-to-state mobility for practitioners and culminated in 23 states removing practice barriers and implementing this model. However more than half of all states continue to have practice barriers for APRNs to deliver a full range of primary care services. These care limitations don’t just affect the APRN practitioner. Limiting the scope of practice for clinicians trained to be autonomous deeply impacts the ability of patients to access needed care. Several literature reviews have drawn support for giving APRNs the ability to work to their full practice authority. Multiple studies have shown care outcomes between APRNs and physicians to be similar, and some APRN measures are superior. One study examined patient satisfaction in the critical care setting and found that nurses performed better in categories such as listening, teaching, pain management, and answering questions when compared with physicians. At their core, APRNs are nurses. It’s not surprising that nurses continue to top the list as the most trusted profession in America. It seems that when innovative, comprehensive care is needed, the industry turns to nurses to fill care gaps. APRNs are in a unique position to increase access and minimize disparities in care over the next few decades. Where do you see the role of the APRN in 20 or 30 years? This is a sponsored article brought to you by allnurses.com in conjunction with the advertiser. 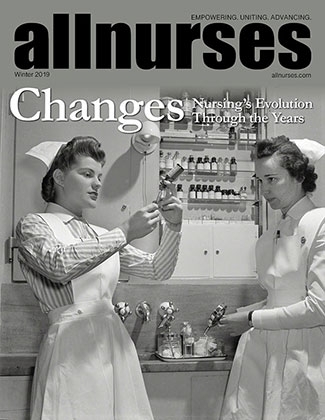 The views expressed in this article are those of the advertiser and do not necessarily reflect allnurses.com, its parent company, or its staff. NCSBN provides education, service and research through collaborative leadership to promote evidence-based regulatory excellence for patient safety and public protection. Learn more about the history of NCSBN and what the organization does by visiting nursingamerica.org.